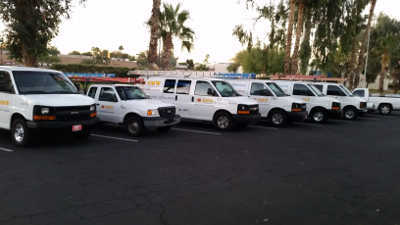 We are a professional and family owned HVAC company that offers the best A/C and heating services in Goodyear Arizona. Have us out and learn why so many people are satisfied with their homes HVAC system. 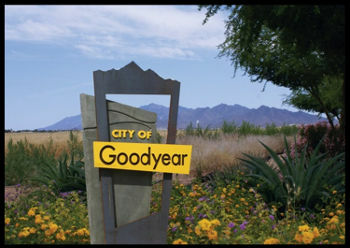 Goodyear is on our radar if you need an air conditioning and heating company. We offer one of the best AC Installation services in the valley so that your new air conditioner will work at its highest possible efficiency. Air conditioning systems are designed to be installed in perfect condition and that’s what our installers achieve with each of our jobs. From the day you first turn on your new AC unit, you will notice the increased performance of the system thanks to an awesome installation. Modern air conditioning systems outperform their older counterparts when it comes to efficiency and will be more cost effective in the long run. With a new unit, you’re going to have lower utility bills and improved comfort. If you want a new AC unit you can be sure that you are going to get a great price and you will have a system that saves money in the long run. 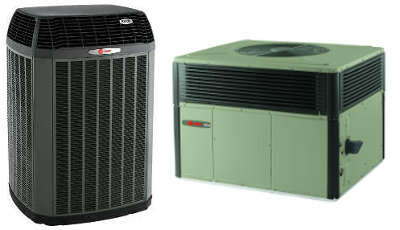 We wanted citizens of Goodyear to have the best AC units around, that’s why we worked hard to be able to sell Trane. This brand of air conditioner is one of the most efficient around and they are the most reliable and durable. In order to sell these products we had to earn the title of ‘Trane Comfort Specialist’. What that title means is we’re a company who proved to Trane that we are the best in on the field service, installation, customer service, and on-going staff training. Our customers deserve a quality brand at a fair rate which is why we went out of our way to earn that title and the ability to sell Trane products. Our awesome crew of installers who helped us get our title combined with superior air conditioning units is why you’re going to have a system that is going to last most of its life without repair and perform with high efficiency. We always leave it up to you to go with the recommended work. Air conditioning is necessary to even live in the valley and that’s why we offer our AC repair service to residents of Goodyear. The heat is brutal without air conditioning but luckily we can make it out the same day in most cases. Once our technician has done his AC repair diagnoses we give you an invoice and our technician will outline what is needed. Our staff is knowledgeable, experienced, and continually updated and trained on current and old air conditioners. We understand the importance of having a professional HVAC company out and that’s why our technicians are experienced, trained, and certified to work on air conditioners. When we come out, you will experience the valleys best team of AC repair experts. It can get cold at night even though the winters are mild, you will be freezing when you notice at 3 in the morning there is no warm air. That’s why our company does heat repair service day and night. If you do happen to need us for a late night service call our technicians are going to be prepared for your electric furnace, gas furnace or heat pump. We will find a heat repair solution to your breakdown so you can stay warm when it counts the most. If it’s been about 6 months or more since you have had maintenance for your air conditioning and heating system then you’re due for one of our tuneups. Each additional unit after that is $20 more. 1 pound of freon included if your system is low. We perform this service year round. It’s never too late for a tune up. Routine maintenance is important for you to have a system that you can count on to be efficient and operational. Repair and replacement can be avoided as long as you annually maintain your system. For the summer and spring maintenance, we recommend maintenance for air conditioners and heat pumps. During the winter and fall, we recommend it for furnaces and heat pumps. Heat pumps are done year round since they can heat and cool. Have us out so we can check the system to prevent breakdowns and improve efficiency. We check gas furnace heating systems in the winter and fall.